Written by Will on October 23, 2012 and posted in Technology and Gadgets. Get an Xbox Slim 4GB + Kinect for $99, an Xbox Slim 250GB also for $99 or an Slim 250GB with Kinect for £149. Back in May Microsoft announced that they would be offering pay-as-you-go (or pay-as-you-play as I find that more fitting) Xbox Slim 4GB consoles at the massively reduced price of $99 from their stores – they then offered it in selected Best Buys and Gamestops. There’s only one catch – you have to pay for an Xbox Live subscription for 2 years priced at $14.99 a month. That’s higher than the ordinary month price, which I believe is $9.99. 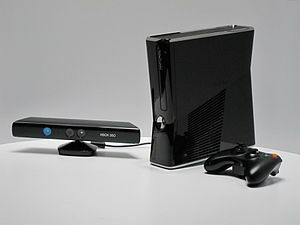 It obviously caught on because they are now extending the offer to Walmart, Toys R Us and all (as opposed just the previously selected) Gamestop stores and are adding 2 new bundles to the offer – Xbox Slim 250GB console, no Kinect for $99 and a Slim 250GB with Kinnect for $149. The Xbox 360 Slim 250GB + Kinect offer is only for a limited time. The first month of the subscription has to be paid up-front with subsequent payments following every month for the remaining 23 months. If you do the math you realize that you would be paying over the odds for the console for the benefit of paying it over time. Just so you know how much more you would be paying (and it’s not a much as I expected) below is the breakdown. To give you a comparison I found the 4GB Slim Console on Amazon.com for $249.96 (Amazon offer, the normal price is $299 when not on offer) and if you add 2 years gold (2 12 month subscriptions bought on the console at $60) it works out at just under $370. You save around $90 or just $40 if you pay fill retail for the console. You can see the latest price from Amazon.com below. Have you got a pay-as-you-go Xbox or do you plan on buying one in the future? Leave a comment below and let me know.